The fourth and most boring so far in the Why We Fight series, probably because it's the least political thus far. Its message is mostly about heroic Britain rather than about shaping public understanding of the cause, which I think is more interesting from a historical perspective. I'm also always fascinated by what the movies deliberately lie about (rather than just exaggerate). In this movie, there is no mention whatsoever of radar, and instead credit for detecting German attacks is given to "listening posts." There's even a shot of some ear horns attached to a wooden post, along with the hilarious claim that this system allowed the British to identify German formations before they even left the continent. I'm guessing that even in 1943 radar was so secret that no mention could be made of it. Have you watched Five Came Back? Netflix docuseries about the five US directors who made films about the war and how their careers were affected by the war. They talk about the Why We Fight series quite a bit and provide a lot of context for it. (If I'm repeating myself, sorry - I might not be perfectly sober.) I haven't seen Britain yet, but I've seen most of the rest - and while I don't really "like" any of them, the Five Came Back series provided a lot of context that made me appreciate them more. I might see it eventually. I'd like to read the book first. I read Mark Harris' Pictures at a Revolution and thought it was excellent. Of course, the other movie closely associated with Capra's Why We Fight series is Andrew Jarecki's 2005 doc also titled Why We Fight, which is about a different topic but clearly takes its name and some influence from the wartime series. With five distinct plotlines that only briefly converge and over a dozen protagonists, this look at Bosnian War refugees in London is too sprawling for its own good and there are no especially sympathetic characters. Many of the incidents along the way are memorable though. 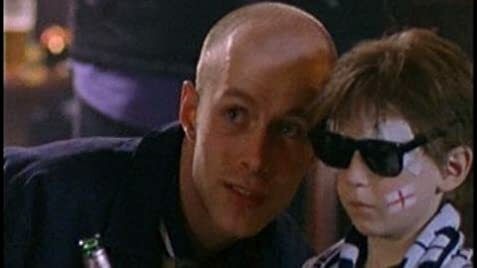 In particular, there is a young heroin addict who forms an unexpected bond with a Bosnian war orphan and a hospital room shared by an angry Welshman, a Serbian man and a Croatian, with the Welshman constantly having to stop the other two from trying to kill each other. This is yet another Powell/Pressburger film that I just didn't get into. Though I see the quality of this one and there are some great sets and coloring, this did nothing for me. Haneke double, though the war aspect is lighter here. Five interlocking stories told in a weird, but interesting way. I'm not sure what I thought about it - I enjoyed it, but immediately thought I wanted to rewatch it to start picking up on more subtleties. This was a sad but sweet story of a Russian soldier trying to visit his mom on a brief break from the war, but his good-nature kept sidetracking him helping others others out. Sweet, but the ultimate plot line wasn't something that resonated with me. Much more uplifting that I would have guessed. 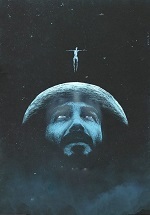 Fantastic film, my favorite one so far for this challenge and a strong contender for an even higher rating upon revisit. Ahmed Zabana was the Algerian freedom fighter to be executed by guillotine (1956). On one hand, this is a daringly different war movie with its portrayal of events seldom depicted on screen, as well as how critical the film is regarding Allied officers ignoring intelligence. On the other hand, the film tackles too broad a scope and the star-studded cast becomes a distraction with few of them getting any chance to flesh out their characters in any depth. James Caan as a desperate sergeant who takes a medic hostage (see above) is a definite highlight here, but the film is ultimately mostly just a collection of memorable episodes like this. It is hardly one of Laurel and Hardy's funnier films with a lot of gags telegraphed far in advance (especially the head-banging), but there are still plenty of laughs to be had from the baffled reactions by all concerned to the madness around them. The aerial stunts are funny and well coordinated too, though it is not until the final five minutes that the pair try to fly a plane despite the title. As for the plot, it is little more than a trifle and as a narrative, The Flying Deuces has nothing on Block-Heads, but it is decent enough entertainment. 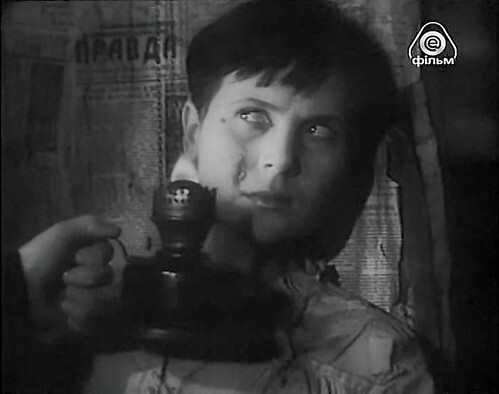 --- A Soviet propaganda movie with an amazing start and a amazing finish, but most of this of learning about the life of this girl which wasn't that interesting. Not bad or anything, but when it starts with Nazi torture in that way, one is ready for something else than what they followed-up with. 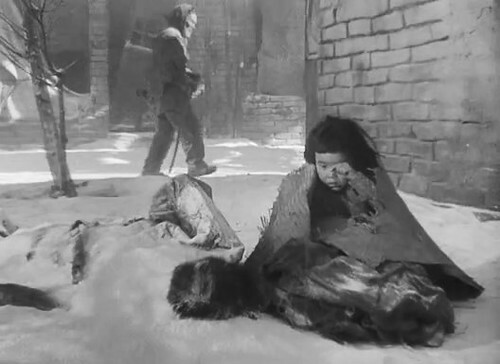 Still top notch Soviet production making it a sweet dark movie. --- Winged Victory (1944) was the start for many actors. In a way this was a public audition. So interesting for the "spot a future star" aspect, but this was one of the most clichéd cadet film I've seen and just didn't work for me. Didn't help that I barely knew anyone trying to entertain, but the script and musical numbers weren't anything special at all. A dud in most ways. 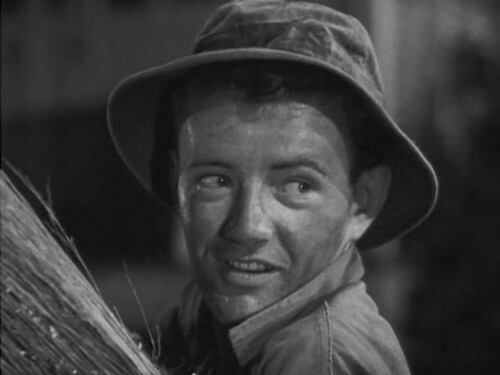 --- Robert Walker as Private Marion Hargrove was a dizzy and harmless army affair. A good cheer-em-up type movie with enough screwy characters to entertain people during depressing times. --- The follow-up to Heneral Luna (2015), we continue the story of the 1899 Philippine-American War with the man/boy that took the spot as the Presidents favorite General after the death of Luna, in the young Gregorio del Pilar. Paulo Avelino takes the picture by storm with his Napoleon poses and flirtations. Mostly a slow build-up boiling up trying stop the evil Americans invading a country they had no business being in. The actual battle scenes were the weakest part. Not sure if that was deliberate or not, because filipinos were not known for their fighting spirit, and that was part of the joke in Heneral Luna. So this was sloppy warfare! The film was beautiful to look at and well made. Didn't touch the magic of it predecessor, perhaps since Goyo wasn't as heroic person as others involved in the war. This is still a interesting history lesson. --- Storm Over Lisbon (1944) is for the most part a unimpressive spy picture from Republic Pictures. However one aspect won me over in the end. Their selection of bad guys! Loved the confrontation between Erich von Stroheim & Otto Kruger! Without that, this would have been a total bore. 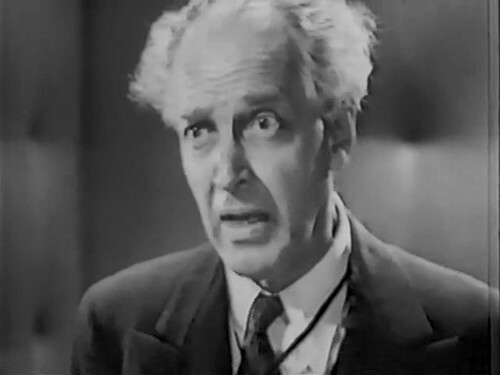 --- Godfrey Tearle was wonderful. A old General reporting for duty as the new war breaks out, only to be rejected as an old fossil. You felt for him as he gradual broke down into depression. He reluctantly helps sheltering a group of children, one of which were popular entertained Petula Clark in hr movie debut at 11 years. The rest was warming, but not as fun as seeing the old general trying to find his place in the new military world. A fine under-appreciated human effort by Maurice Elvey. 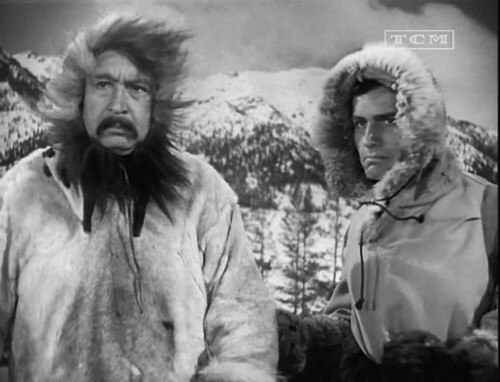 --- Errol Flynn in a entertaining Northern Pursuit (1943), pretending to be a Nazi, and not doing a very good job at it. That was pretty much the weak point of this movie. They took the suspense level a little too lightly. 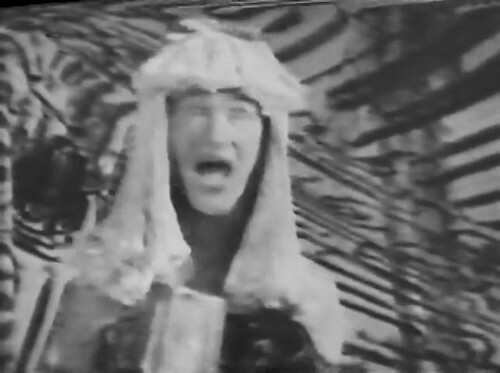 On the other hand, that made it closer to a traditional Errol Flynn, which is rarely a bad thing. But since Helmut Dantine was doing such a good job at being a nasty Nazi, it was a shame Flynn took the role so casual. This could have been a chilling war movie for the ages. Instead it becomes a traditional popcorn movie. A fun one at that. 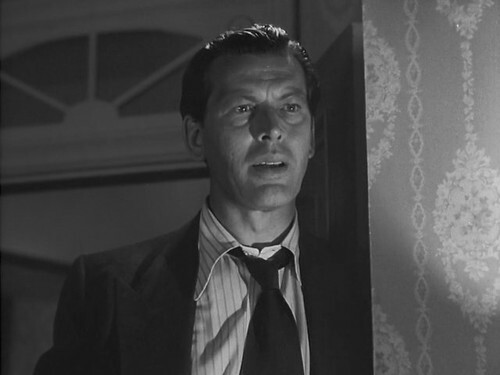 --- Journey Into Fear (1943) has some incredibly haunting scenes along with a lot of incredible pedestrian moments. Felt like there was two different visions trying to get along. Creates a rather frustrating feeling since you can see how good this could be, yet how the plot is driven doesn't deliver on it's potential. 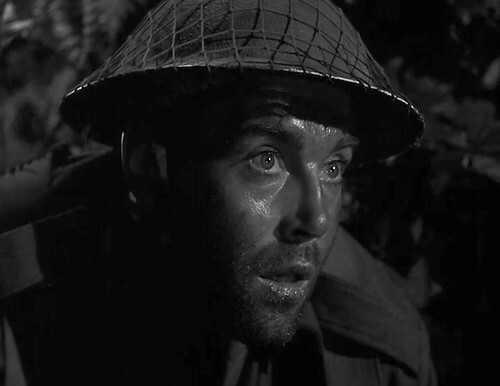 --- Bringing Henry Fonda simple average man character to the war. It's worked in so many other films, so why not on the battle field, both the one in war and the one for love. Story of a gentle man and how he grows from his experiences fighting the Germans in the desert. Difficult not to like, even if it's no where near Fonda's most inspired roles. --- Story of cowardice turned hero as Philip Dorn is reluctant to fight the invading Germans in a French village. His performance might seem a little dull, but there is a respectable effort there rooted more in the European type of drama. George Sanders provides a more familiar Hollywood presence in a film which at first doesn't ignite, before it gets good toward the end. --- They went out of their way to make Since You Went Away (1944) special. Almost too much so, with it almost becoming a gimmick, where every shot trying to bring out something unique using angles and lighting. 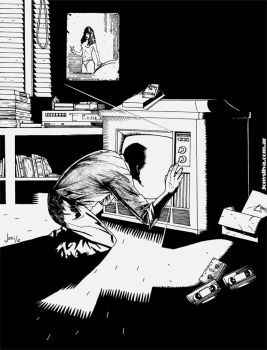 A story from the homefront, were the father is fighting the war and the rest of the family trying to cope with life at home, longing and waiting nervously for their beloved head of the family. And it's a wonderful sentimental piece. 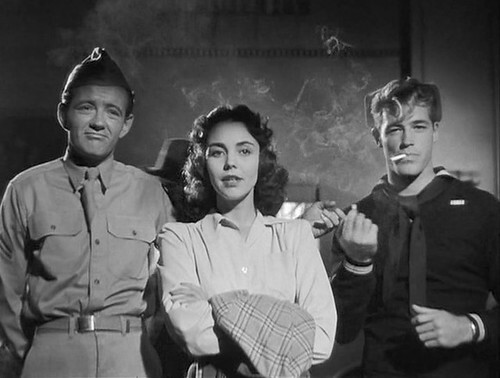 In a weird way, my favorite sequence was when a jealous Robert Walker finds a Navy man flirting with Jennifer Jones and we get introduced to a hunk of a sailor, Guy Madison for his screen debut. Such a... I don't know what to call it. Simple, naive, friendly exchange. It was just lovely how that turned out. --- After a cringe-worthy start of Oriental caricatures (that coming from someone who is usually not troubled by seeing actors play other ethnicities), the characters did grow on me. They do become less one-dimensional as the universal language of despair and hopelessness comes with the invasion of the Japanese. The war cry and rebellion slowly bubbles underneath and that's the drawing power of the Dragon Seed (1944). 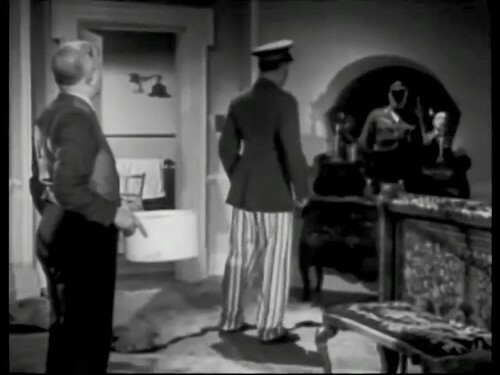 The attempt at making a war-time version of The Good Earth (1937), didn't work. 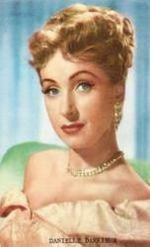 Doesn't come across nearly as sincere as the '37 feature which earned Luise Rainer a Oscar. 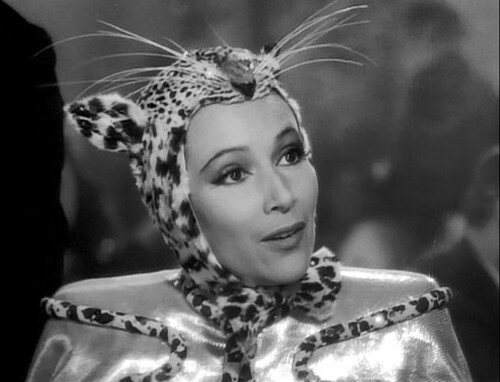 Instead I think I'll dub this the worst Katharine Hepburn role I've seen. Thankfully several supporting actors did have likable presences and carried the movie and moral where the leads failed. 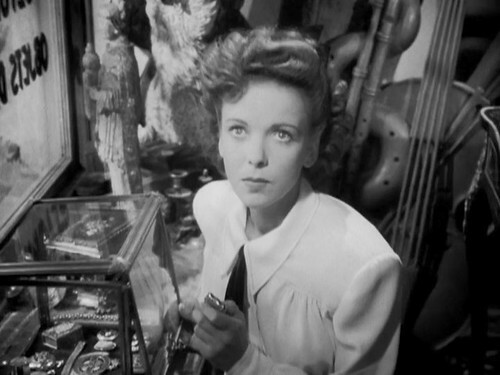 --- Ida Lupino was great and the story was fine, following the war trend of preaching about breaking the old ways of living and learn to fight for something new and equal, regardless of how hopeless it may seem when a battalions of Germans invade your country. The gradual set-up was nicely done. The conclusion was unsatisfactory. But some of the reason for that was that the war was still going and there wasn't really a true finish to put in it's place. But I'm sure they could have found a more inspirational way of reaching it's patriotic message. Bleakest movie of the challenge so far, I think. Full of vibrant song and dance routines as the troops practise, this almost feels like a musical comedy and Denis Quilley give it his all as the gay captain in charge of the army performing troupe here, constantly walking around in drag even when not performing. The film suffers from a lack of plot though. John Cleese does his usual pompous shtick well as the major in charge of the unit, frequently perturbed by Quilley, but the film mostly just consists of Cleese clashing with the performers in between routines. With no real scary Nazis and most brutal war horrors kept off screen, the kids here never feel in real peril; digesting the wrong berries is the closest that they come to mortal danger. Instead, we get joyful scenes of the children running through hills, chasing after money blown in the wind and splashing river water. In short, fleeing the Nazis has never seemed like so much fun. Juliane Lepoureau is excellent here as a young girl who heartbreakingly questions why they cannot just stop being Jewish if it is such a bad thing, but the overall film didn't do much for me. 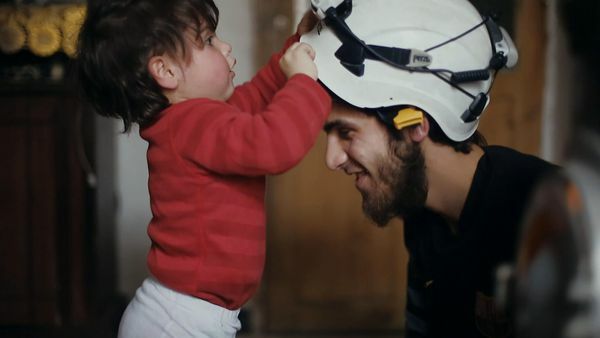 This brief Netflix documentary is about a group of volunteers who to dig through the rubble for survivors in war-torn Syria. The subject is interesting enough, but the presentation did not really grip me. The main interviewee repeated a lot of the same ideas and sentiments again and again (all children found being like sons to him, etc) and I would have preferred voiceover narration instead throughout, and certainly in lieu of off/on the title cards here. I also found the training of the volunteers in Turkey more engaging than their rescue efforts, but this was okay for what it is. Sharing Madhulika Liddle's wonderful overview of Cheetan Anand's multi-stranded and bleakly resolute account of the border hostilities of late 1962 and the lives and families the conflict affected: https://madhulikaliddle.com/2009/07/15/haqeeqat-1964/. Overt jingoism for sure abounds but memorably present as well are moments of quiet reflection, awareness and duty. I particularly loved the song where the woman separated from loved ones sings plaintively about not lighting a lamp this Diwali with the darkness of war engulfing all around. Such a haunting and beautiful heart to the branching out wider concerns at attacked outposts far away! Quick question. Would a movie about a military coup count? Specifically I'm asking about April Captains (2000) about a coup to overthrow a right-wing dictator and the Army captains involved with it. I'd say absolutely - that seems well within the boundaries of the war genre. Shows the late stages of the war from the perspective of a young Brit who joins the Legion to get away from himself and gradually gets to know people on all sides of the conflict. @Punq: Can add Since you went away and Dragon seed to list of movies I saw in the theater as a child. The latter I didn't understand and only remember a couple of flickering images. The former gets a parody bit in Airplane involving a train conductor. Last edited by 3eyes on March 19th, 2019, 3:23 pm, edited 2 times in total.